Fall is probably my favorite season. Things start to calm down and we get in more family time while just relaxing. Of course, our favorite part of fall is Football Season! We’re Ravens fans (of course) in our house. For today’s tailgating recipe I’m bringing some Maryland to your house! You need to make these Crab Pretzels for your next football game. They’re on the menu at bars and restaurants throughout the state and usually cost about $10 a piece. Make your own and enjoy in front of your own TV! Thanks to Wedding Crashers, everyone knows “That’s what Maryland does. Crab Cakes and football.” Well, Maryland also does Crab Pretzels! This is how Maryland does crabs. We picked some last week when my sister was here from Kentucky. Please try to use fresh lump crab meat and not that canned crap. It’s really not the same at all. If you want to skimp on this recipe, do it for the pretzels and just buy some frozen ones instead of making your own (although it’s not very difficult). Dissolve yeast into warm water. Add salt and sugar, stirring to combine. If dough is still sticky, add a little more flour (no more than ½ cup). Dough should bounce back when poked. Knead the dough on a floured surface for about 3 minutes. You can make regular shaped pretzels if you want. I made mine into twisty pretzel logs. Boil 9 cups of water with ½ cup baking soda. Dip pretzels using a slotted spoon into the boiling baking soda water for 30 seconds. Drain excess water off of pretzels. Place on baking sheet lined with silicone baking mat. Spread crab mix over baked pretzels and don't be stingy with it. Broil for about 5 minutes. Top with sliced green onions and more Old Bay if desired. With the official start of football season around the corner, it’s time to tailgate! In celebration, I’ve joined a group of bloggers from all over the country — all of whom are big football fans! 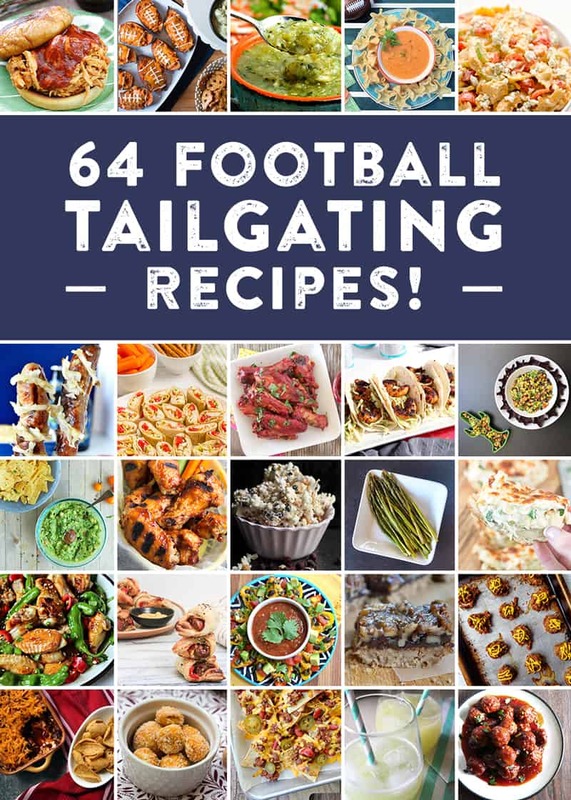 — to bring you 64 tailgating recipe ideas for a terrific football party. Click on their links below to join in! You had me at crab. This recipe blows my mind, what a combination! I can’t wait to try it.